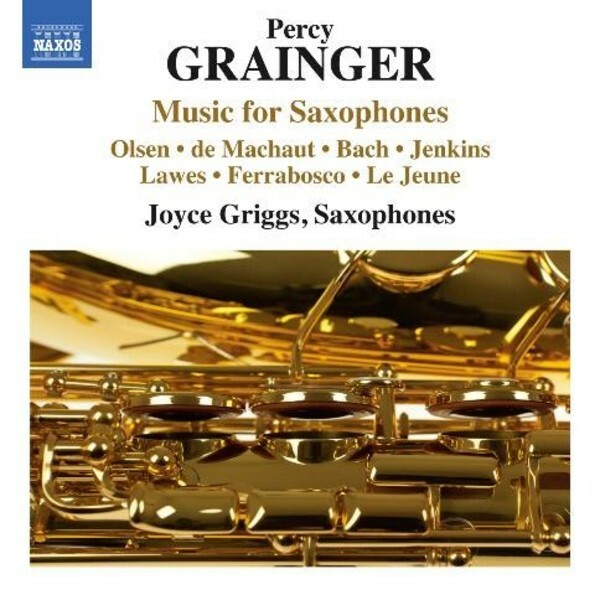 Percy Grainger called the saxophone “the world’s finest wind-tone tool, the most voice-like”, and wrote for it a series of fascinating but hitherto little-explored works. These arrangements are special in that, unusually, Grainger largely abandoned his idea of ‘elastic scoring’ and noted specific instrumental configurations. The selections include the music of J S Bach, British and Norwegian folksongs, old polyphonic instrumental and vocal music, as well as two original compositions, each indelibly stamped with Grainger’s experiences as pianist, folk-song collector, and proponent of early music.